As retailers ramp up their efforts to court shoppers over the holidays, many are deploying increasingly sophisticated approaches to help customers with their buying decisions. Omni-channel marketing links these consumers in a seamless connection between the retailers’ ecommerce sites and their brick-and-mortar stores. Promotional messages are tweaked across everything from mobile platforms to point-of-sale in-store promotions. Barnes & Noble College is an early adopter of the multichannel approach and is using it to full effect this holiday season, creating buying experiences that offer greater convenience and more value to students and all campus bookstore shoppers. 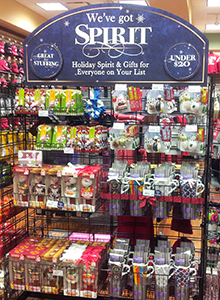 Holiday Pop-up Collection display in the Ball State University Bookstore, located in Muncie, Indiana. “We’re showing up everywhere and anywhere our students, parents and alums are,” explains Barnes & Noble Colleges’ Consumer & New Media Marketing Manager, Tamara Vostok. “And we’ll be marketing to them this holiday through every available touch point.” Part of the omni-marketing approach is to make it easier for customers to find the items they need. To support the holiday shopping season, Barnes & Noble College is launching a series of email marketing campaigns helping customers do exactly that. 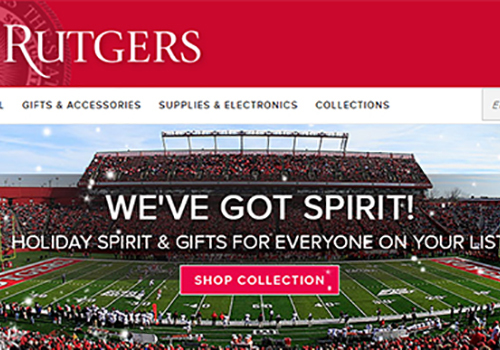 “The emails will guide customers to individual categories – gift collections we’ve created on the college bookstore websites to make it easier to find the perfect gift for the ultimate sports fan or for someone who loves technology, or for children, alumni or gifts under twenty dollars,” Vostok explains. This ease of finding the perfect gift extends to the physical bookstore experience as well, with in-store signage directing shoppers to special Holiday Pop-up Collection displays loaded with gift ideas. There will also be plenty of opportunities to save money and win prizes this season with a WINter Wonderland Sweepstakes. For two weeks in December, stores will be giving away a different prize every day to shoppers who visit their bookstore’s Facebook page, and for key shopping days, they will be running exclusive promotions. On Black Friday and Cyber Monday, alumni and online shoppers took advantage of 25 percent off gift items as well as free shipping. 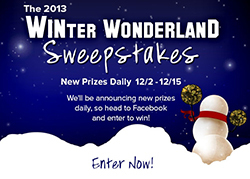 Barnes & Noble College “WINter Wonderland Sweepstakes” email announcing the 2013 holiday promotion. For today’s shoppers, where you say something is as important as what you say, and the omni-channel consumer wants the freedom to use multiple channels simultaneously. 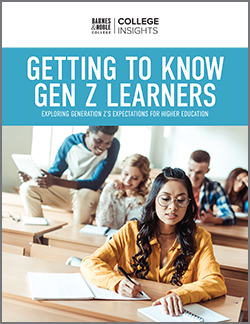 Barnes & Noble College’s blended marketing approach involves developing meaningful communications on a variety of platforms – such as mobile technology and social networks like Instagram – while maintaining traditional in-store service and online accessibility. 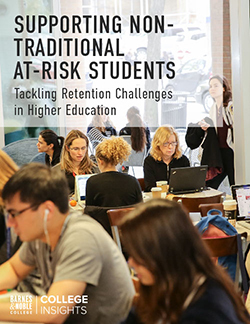 “All of these approaches are designed to make the bookstore more competitive and help drive more revenue to the college,” Vostok points out. During one of the busiest and sometimes stressful times of the year, the omni-channel approach is a must-have for any campus store’s wish list.